We have been using Superia for our online shop and email hosting and all i can say is that their service is top notch. The person I dealt with and the guys make everything really simple and straight forward. They are super helpful and patient with us and have allowed us to take our online presence to new heights. We highly recommend Superia and their fantastic service. Ecommerce Templates - www.ecommercetemplates.com 1. 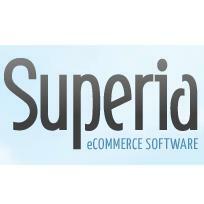 Superia Commerce - www.superiacommerce.co.uk 4. Cart Pay Inc - www.cartpayinc.com 5.